The Stephane Ratel Organisation promotes the Blancpain GT Series, Intercontinental GT Challenge and British GT Championship among other series, and co-organises the US-based Pirelli World Challenge. 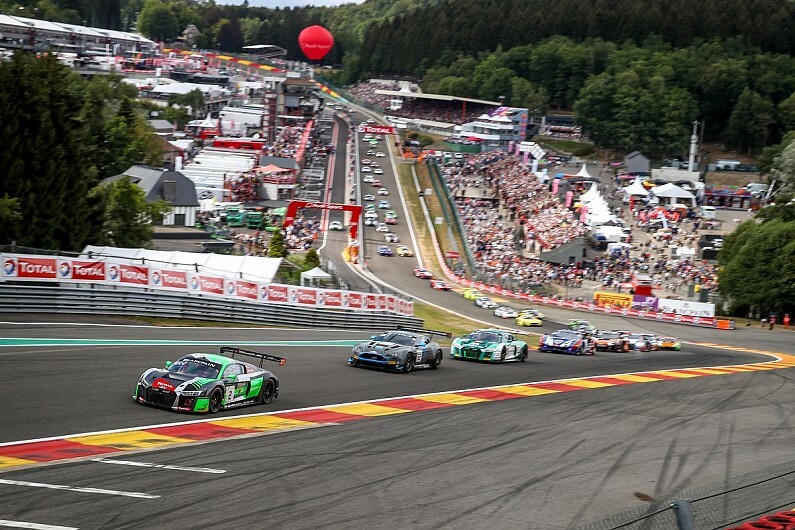 SRO currently focuses on the burgeoning GT3 and GT4 categories, pitching its range of championships to offer options for both professional and amateur drivers while also keeping a close eye on manufacturer involvement and always being willing to tweak formats and ideas to adapt to changes in the market. His achievement in becoming the dominant worldwide organiser of GT racing earned Ratel one of the annual special Awards named in honour of Autosport's founder. "I thought I would be a lot older when I got this!" said Ratel. "It's been a very busy time this season, it started in the first weekend of February for the first round of the Intercontinental GT Challenge and finished last night with inaugural GT Nations Cup in Bahrain. "Along the way we have covered 12 championships and series, 49 events in 20 countries and four continents." The SRO boss also added that he believed the Nations Cup would become an increasingly popular concept after Turkey won its first event. Ratel's first experience of race promotion came with the Venturi-based Gentleman Drivers Trophy in 1992. He was then part of the organisation behind the BPR Endurance Series that grew into the FIA GT Championship in the mid-1990s, before branching out on his own to establish the forerunners of what became the current Blancpain GT package of championships. Ratel added: "I think I started like every good race promoter: I started dealing cars and I had a passion for the exotics and brought them to back to racing because GT racing stopped in the late 1970s and early '80s and there was no GT racing. "It became the FIA championship and evolved into the Blancpain GT Series. It's been a long story and we have created lots of categories: GT3, GT4 and soon GT2, and it has worked in many categories and series." His award was presented by McLaren Formula 1 team boss and Motorsport Network executive chairman Zak Brown.